“Charges” means all sums (plus VAT) payable by the Customer to Invicta Telephone Sales Ltd in respect of the Services including but not limited to the connection charge (in respect of the Customer being connected to the Network) ongoing Line Rental and Call Charges and any other charges for any other services provided by Invicta Telephone Sales Ltd as identified in the relevant price list. In this Agreement where the context requires, words that are expressed in the singular shall include the plural and vice versa and words expressed in a gender shall include all genders. Words importing persons shall include un-incorporated associations and partnerships and any entity with legal standing. On the date you place an order with Invicta Telephone Sales Ltd you enter into a contract with us for the purchase of the relevant Services under these Terms. We will acknowledge receipt of your order. By placing an order with Invicta Telephone Sales Ltd you agree that we, or third parties on our behalf, may carry out credit checks on you using the information you provide. safe conditions for this equipment. If Invicta Telephone Sales Ltd has to supply equipment that needs a continuous mains electricity supply and connection points, the Customer is responsible for providing this at its own expense. 2.3 Nobody must tamper with Invicta Telephone Sales Ltd’s equipment or any third party equipment that Invicta Telephone Sales Ltd arranges to be installed on the Customer Premises. Other than fair wear and tear, if there is any damage to or loss of Invicta Telephone Sales Ltd’s equipment or third party equipment (unless caused by Invicta Telephone Sales Ltd), the Customer must pay the charges for any necessary repair or replacement. 2.4 If the Customer currently receives services from an alternative supplier the Customer is responsible for any contractual agreement the Customer has with them and any liabilities the Customer may incur for terminating that agreement. 2.5 The customer undertakes to ensure that it or any of its end users will not modify, decompile, reverse engineer, disassemble or otherwise reduce any licenced software to a human-perceivable form. 3.2 We will select and at any time may change a carrier or other service provider for the purposes of providing the Services, and you authorize us to give all notices and other authorizations that are necessary for us to provide and continue providing, the Services to you. Whilst we provide the Services to you, you authorize us to act on your behalf in all dealings with any Third Party Operator in connection with any matter that enables us to provide or to continue to provide you with the Services. (c) to substantiate or disprove any reasonable suspicion we may have in respect of your alleged or potential breach of these Terms. 5.1 This Agreement will come into force on the date on which the Customer orders the Services. The Services are supplied by Invicta Telephone Sales Ltd subject to an Initial Term of 12, 24, 36 or 60 months. The Initial Term will commence on the activation date. 5.2 If your order comprises Services with different activation dates, then each line or Service shall be the subject of a separate Initial Term from the relevant date of activation. 5.3 Upon expiry of the Initial Term, or any anniversary thereafter, this Agreement will renew automatically for further periods of 12 months (“Subsequent Term”) unless terminated by either Party in accordance with the terms of this Agreement. 5.4 This Agreement, subject to Clause 9, shall continue in force for the Initial Term and thereafter for Subsequent Terms unless or until terminated by either party giving not less than two (2) months’ prior written notice expiring at the expiry date of the Initial Term or Subsequent Term for each Service. 5.5 In the event that the Customer terminates this Agreement prior to expiry of the Initial Term or any Subsequent Term, other than in respect of termination by the Customer pursuant to clause 9.8, the Customer shall pay the Early Termination Charges, calculated in accordance with clause 5.6. (a) (i) where the agreement is terminated within the first 12 months of the Initial term, the Customer will pay the full rental for the remainder of the first 12 months of the Initial term plus for the months after the first 12 months to the end of the Initial Term the Customer will pay the rental that would otherwise have been payable at the rental applicable on the date of termination minus 20% discount for early payment. (d) an administration charge of £50.00 (fifty pounds) plus VAT. 5.7 In the event that the Customer terminates this Agreement prior to the end of the Initial Term or Subsequent Term and a free or discounted install has been provided during the Initial or Subsequent term of this Agreement the Customer will be liable to pay the difference between the price they have paid, if any, for the install and the Standard Invicta Telephone Sales Ltd price in addition to any applicable Early Termination Charges from Clause 5.6. 6.2 Without prejudice to clause 6.3 below, nothing in this Agreement shall limit or restrict or be deemed or construed so as to limit or restrict the liability of Invicta Telephone Sales Ltd for death or personal injury to any person caused by its negligence. Ltd harmless against all claims and proceedings brought by any third party arising from or incidental to the Customers use or misuse of the Services or breach of these terms. 6.4 If the Services fail to operate or the Customer diverts traffic to another carrier, Invicta Telephone Sales Ltd will not be responsible for that carrier’s charge or for any perceived loss of anticipated savings. 7.1 The charges for the services will be such charges as agreed by the Customer and Invicta Telephone Sales Ltd on signing this agreement and as notified to the Customer from time to time either via the Invicta Telephone Sales Ltd website, by notification on the monthly invoice or by post. 7.2 Charges are payable by Direct Debit, unless agreed otherwise with Invicta Telephone Sales Ltd. If a Customer cancels an active Direct Debit without Invicta Telephone Sales Ltd’s consent, an administrative charge of £10.00 will apply. 7.3 If the Customer has agreed to a Minimum Monthly Call Spend (as part of this Agreement), and at the end of any given year (beginning on the Activation Date or any anniversary thereafter), the Customer has not incurred the Minimum Monthly Call Spend each month over the year the Customer will be liable to pay the difference between the Call Charges incurred during that year and the Monthly Minimum Call Spend times by twelve minus 20% discount. If the Customer terminates this Agreement other than in respect of termination by the Customer pursuant to clause 8.8, prior to the end of the Initial Term or Subsequent Term, the Customer will be liable to pay the difference between the Call Charges incurred during that year and the Monthly Minimum Call Spend times by the number of months outstanding on the Term minus 20% discount. reach the threshold level the Customer agrees to pay the difference between the actual calls billed amount and the threshold. 7.5 If Invicta Telephone Sales Ltd is required to instruct their solicitors or other professional advisers to collect any outstanding sums on the Customer’s account, the Customer will be responsible for, and Invicta Telephone Sales Ltd will look to the Customer to discharge, those costs that are incurred by Invicta Telephone Sales Ltd in taking such action. 7.6 In the event that Invicta Telephone Sales Ltd is advised that the Customer is in Administration, Invicta Telephone Sales Ltd is entitled to change the applicable tariffs for the Customers Services to the Standard Invicta Telephone Sales Ltd tariffs and no discounts will apply. For details of this tariff please contact Invicta Telephone Sales Ltd.
7.7 The Customer is committed under this Agreement to using Invicta Telephone Sales Ltd for Calls. Should the Customer use an alternative carrier for Calls once this Agreement has commenced, or prevent Invicta Telephone Sales Ltd from carrying Calls in any monthly period so that the Call Charges are materially reduced when compared to the Customer’s average invoicing profile in a period when the calls were being carried by Invicta Telephone Sales Ltd, Invicta Telephone Sales Ltd shall be entitled to charge the Customer each month the greater amount of either the Customer’s average monthly invoicing profile in the period when Invicta Telephone Sales Ltd was carrying the calls minus 20% discount or £50 plus Vat on the Customer’s subsequent monthly invoices. 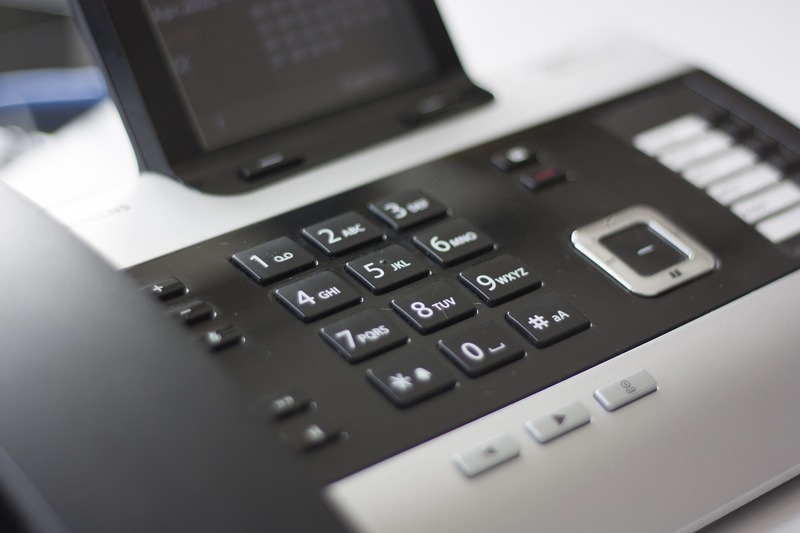 7.8 If Invicta Telephone Sales Ltd provide a free or discounted install the discount will only apply to one ISDN2 or ISDN30 circuit installed within 6 months of the start of the Initial Term and will only apply to the standard installation. If any other charges above the standard installation are applicable to the installation including but not limited to DDI setup, excess construction, out of hours, time related charges these will be payable by the Customer. 7.9 In the event that a new ISDN30 circuit is ordered and is subsequently cancelled by the Customer prior to its successful installation the Customer will be liable to pay a percentage of the cost of install depending on the length of time that has elapsed from the order being placed with Invicta Telephone Sales Ltd. If the order is cancelled after 4 working days but before 15 working days after it was placed then the Customer will be liable to pay 35% of the install cost. If the order is cancelled after 14 working days but before 21 working days after it was placed then the Customer will be liable to pay 75% of the install cost. If the order is cancelled after 20 working days then the Customer will be liable to pay the full install cost. 8.1 Payment of all invoices is due within 14 calendar days of the date of that invoice unless otherwise agreed in writing by Invicta Telephone Sales Ltd.
8.2 If the Customer does not pay an invoice within 14 calendar days of the date of that invoice, Invicta Telephone Sales Ltd will send the Customer a reminder. If Invicta Telephone Sales Ltd does not receive payment of that invoice within 7 calendar days of the date of that reminder, Invicta Telephone Sales Ltd may charge the Customer daily interest on the overdue amount(s) at a rate equal to 4% above the base lending rate of LLoyds Bank Plc for the period beginning on the date on which payment is due and ending on the date on which payment is received. 8.3 If your previous invoice has not been paid at the time of producing your next invoice, a late payment fee of £10 will be charged to Customers to cover our administration costs. 8.4 If a Customer’s payment is rejected the Customer will be charged £20 for a rejected Direct Debit payment and £30 for a rejected cheque payment. 8.5 We reserve the right to set a credit limit on your account. If the credit limit is exceeded Invicta Telephone Sales Ltd reserves the right to issue the Customer with an interim invoice which will be payable within seven (7) days. Invicta Telephone Sales Ltd may ask the Customer to pay a deposit at any time, as security for payment of future invoices. 9.2 If the Customer does not pay an invoice in accordance with clause 8, Invicta Telephone Sales Ltd reserve the right to suspend all Services and will lift the suspension only following full payment being made by the Customer to Invicta Telephone Sales Ltd.
9.3 If Invicta Telephone Sales Ltd suspends any or all of the Services pursuant to this Clause 9 (other than pursuant to clauses 9.1 (e) or 9.1 (f)), Invicta Telephone Sales Ltd will not be obliged to recommence the Services until the Customer does what it is obliged to do under and in accordance with the terms of this Agreement or satisfies Invicta Telephone Sales Ltd that the Services will not be used in a way that is in breach of this Agreement. 9.4 The Customer is still liable to pay the Charges applicable to any period of suspension of the Services (other than in respect of a suspension pursuant to clauses 9.1 (e) or 9.1 (f)). 9.5 If the Customer’s account remains unpaid for a period of 30 days after the original due date for payment a security deposit of three times the average monthly invoice in addition to payment of the outstanding invoices will be required before we reinstate the Services. 9.6 In the event the Services are recommenced after suspension, Invicta Telephone Sales Ltd will charge a reconnection fee of £25 plus VAT per affected line. 9.7 In the event that Invicta Telephone Sales Ltd terminates this Agreement at any time, other than in respect of termination by Invicta Telephone Sales Ltd pursuant to clauses 9.1 (e) or 9.1 (f), the Customer shall pay the applicable Early Termination Charges. 9.8 The customer may terminate this Agreement by written notice to Invicta Telephone Sales Ltd if Invicta Telephone Sales Ltd is in material breach of its terms and fails to remedy such breach within 30 days of receiving written notice from the Customer requiring such breach to be remedied. 10.1 Any notice or other communication given or made under the provisions of this Agreement sent by post may be served by sending it by pre-paid registered or recorded delivery post to the Registered address of Invicta Telephone Sales Ltd or to the Customer at the address the Customer has asked Invicta Telephone Sales Ltd to send invoices to. 10.2 Any such notice or communication sent by pre-paid, registered or recorded delivery post shall be deemed to have been served upon two (2) Business Days after posting. Any notice sent by facsimile transmission shall be deemed to have been delivered on the same day of its despatch to the correct facsimile number. exercise or enforcement of such right or of any other right on any later occasion. representations made by either party, whether oral or written save that neither party excludes, or seeks to exclude, liability for fraud to the other by reference to clause 12. 12.2 Each of the parties acknowledges and agrees that in entering into this Agreement, it does not rely on, and shall have no remedy in respect of, any statement, representation, warranty or understanding (whether negligently or innocently made) of any person (whether party to this Agreement or not) other than as expressly set out in this Agreement. 12.3 This Agreement shall prevail over any inconsistent terms or conditions referred to in correspondence or elsewhere and any conditions or stipulations to the contrary are hereby excluded and extinguished. Invicta Telephone Sales Ltd shall not be liable for any loss or damage or delay in the performance of its obligations under this Agreement due to any cause beyond its reasonable control including without limitation any Act of God, failure or shortage of power supplies, flood, lightning, fire, strike, lock-out, trade dispute or labour disturbance, any act or omission of Government, highways authorities, other public telecommunication operators or other competent authority, the production or supply of services by third parties. A person who is not a party to this Agreement has no rights under the Contracts (Rights of Third Parties) Act 1999 to enforce any term of this Agreement but this does not affect any right or remedy of the third party which exists or is available apart from that Act. Invicta Telephone Sales Ltd shall have the right to assign or otherwise delegate all or any of its rights and obligations under this Agreement to any Associated Company or to any other person without notification. The Customer shall not assign, delegate or otherwise deal with all or any of its rights and obligations under this Agreement without Invicta Telephone Sales Ltd’s prior written consent. If any provision of this Agreement is or becomes invalid or unenforceable it will be severed from the rest of this Agreement so that it is ineffective to the extent that it is invalid or unenforceable and no other provision of this Agreement shall be rendered invalid, unenforceable or be otherwise affected. Notwithstanding the foregoing, the parties shall negotiate in good faith in order to agree the terms of a mutually satisfactory provision to be substituted for the provision so found to be void or unenforceable. This Agreement shall be governed by and construed in accordance with the laws of England and the parties hereby submit to the jurisdiction of the English courts in respect of any dispute arising out of or in connection with this agreement.